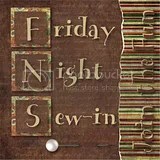 On Sewbuds we are doing a cq rr. The blocks that get sent around can be brand new, or already worked one. The way we are organizing it is that all blocks just keep going till the owner decides it’s full. When she pulls it out of circulation, another one can go in, and at any time a new person can jump into the rotation, as long as there is a month’s notice so that we can adjust the rotation . This is Cris R.’s block. 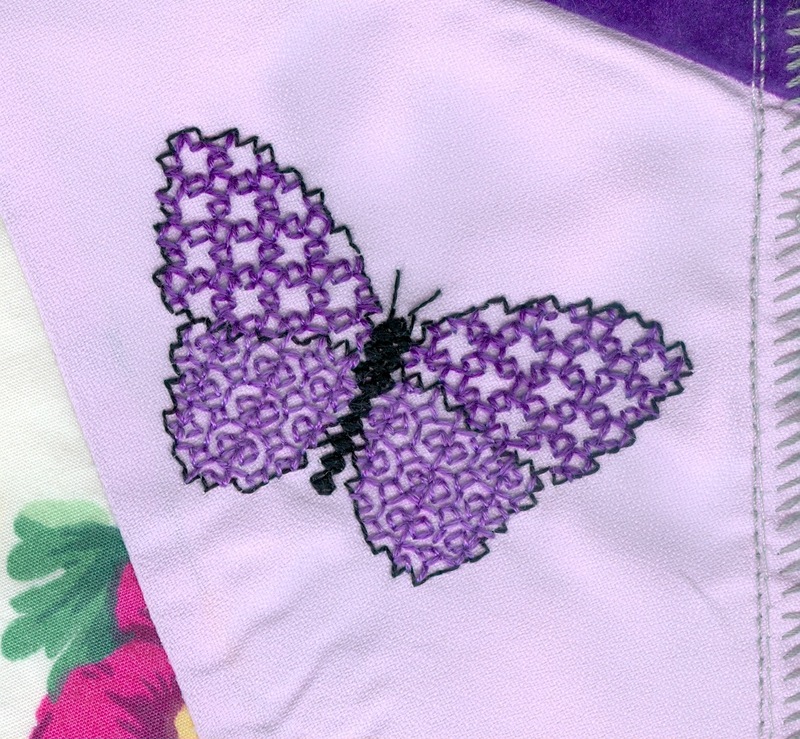 She did the cross stitched pansy and the blackwork butterflyl Take a good look here cause they are done on 14 count waste canvas but look smaller to me..perfect stitching. 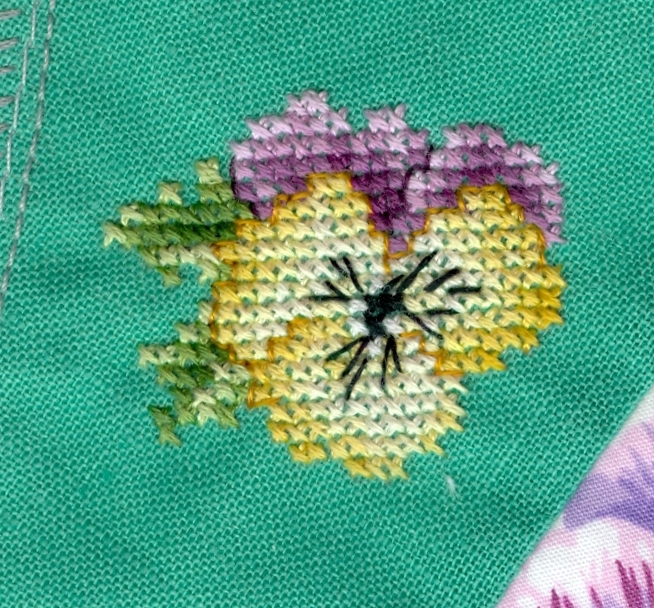 This is Susan N.’s work on the same block:Her stitches are so even and perfect too….and i love the thread. She said that it was SassaLynne thread. And the next o scan is my work. I added a little bit of a piece of lace to the top patch and put down a string of pale pinky-lavender beads. Susan sent me the lace. The long seam is also a piece of lace that i cut into small sections in order to scallop it the way that you see it here. Originally it was a straight piece of lace on one side and scalloped on the other. Using laces is a bit of a stretch for me.